Recently I have independently been researching into non-invasive health monitoring techniques to improve overall personal wellbeing, especially my own. A year and a half ago the core energies inside of me and my body were completely out of whack. It was possible back then to accurately diagnose this imbalance by monitoring my heart rate variability. (HRV) The future of diagnostic medicine is intimately connected with already developed abilities to monitor heart rate variability with accuracy drawing both specific and general diagnostic conclusions from it. My stress levels averaged between 500 and 700 hundred on a thousand scale with one occasion boosting me over 1,000 so the program had to change the scale. Today with a more balanced nervous system my stress is all the way down to 276. So I still have a ways to go yet with my breathing, yoga and meditation programs. Translated into laymen terms I was totally stressed out, could not relax, was breathing too fast and had abdominal and circulatory distress and pain. The last two years have been instructional for me and my work with me being the experimental subject. I have had to dig myself, starting at age 60, out of a deep hole. And I needed to do this without most doctors’ help because I knew they would be of no help and possibly could do a lot of harm. I certainly could not imagine poisoning myself with pharmaceuticals as a way of getting better. My kind of medicine is for people whose attitude is the only way you’re getting me into a hospital is feet first. They are, after all, some of the most dangerous places to visit outside of a battlefield. Today I did the test again and behold my three nervous systems were pretty much in balance. And I do feel about 95% better but feeling like I am just getting started in the health department. The reason I sank into disease at age sixty was just the fact that I was never a health nut when I should have been. My diet, exercise patterns and breathing disharmonies all expressed my laziness with taking care of myself. Understanding my syndrome was not easy. In the end it was clear that much of what I felt in my abdomen was from Vagus nerve dysfunction. .Understanding my stress came very slowly and it was not until I took a look at my HRV and the stress that was showing did I begin to understand how much I needed to change. There is no medicine to take for stress, not in a non-pharmaceutical sense at least. And drugs like valium, in the end, will stress a person out with its toxicity and side effects when used persistently. One has to work with oneself when one undertakes breathing retraining and a process like yoga. Diet changes for some, like me, come hard, so again it is not the medicines we take but the changes we make that take us back to the living land of the healthy. HRV will become the gold standard for observing and managing stress reactions in cardiology, sports performance and psychology practices. Heart Rate Variability uses complex mathematical calculations to analyze the rates and rhythms of the resting heart beat pattern. The data can be evaluated to reveal the intricate balance between the Sympathetic(S) Nervous System and the Parasympathetic Nervous System (PS). There are natural medicines like magnesium and bicarbonate that will help and medical marijuana has its central place in the medicinal cabinet for stress reduction. One of the easiest ways to measure stress if you do not have a VedaPulse is to count your breathing rate per minute. The higher you are over 12 the more stressed out you are. Headed to over 20 breaths per minute and you’re heading into the cancer zone of extremely low systemic oxygen levels. The modern medical system is ill-advised with all its expensive tests that have to be paid for by someone. There are four simple tests, which can tell you more about your basic condition than any of those expensive and dangerous tests the doctors compulsively give. 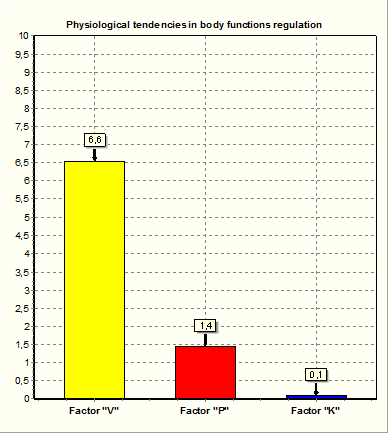 Your core body temperature or what is known as basal temperature. Your urinary and saliva pH, the color of your urine (light yellow to clear is fully hydrated) and breathing rate per minute will tell you more about a person then most standard tests and all you need is a watch, pH paper and a thermometer to complete the four tests. That set of tests might cost you only about 20 dollars. However, if you add Heart Rate Variability to your list of tests you can find out almost everything about yourself and what you need to do to heal yourself. In the hands of doctors and other practitioners a machine that can read the HRV (takes five minutes) and spit out a complete Ayurveda and Chinese medical diagnosis, with full treatment recommendations, is something to marvel at. Athletes are certainly into utilizing HRV in their training and you can too and I imagine quite inexpensively with applications that work on your smart phones. They will give you the basic information about your stress levels in real time. There are many instruments on the market, and some quite expensive for reading HRV when in reality it is simple to read. The VedaPulse has a consumer version (500 dollars) that competes with some other company’s high end HRV reading machines that cost a small fortune. It is all in the software, which interprets and translates the HRV into a complete diagnostic landscape based on objective measurement. Imagine any doctor struggling to learn acupuncture or the acupuncture student specializing in Chinese medicine. 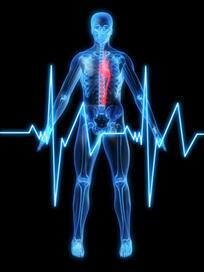 With HRV we can see into the heart of a person like never before through pulse diagnosis. No master can compete with the digital accuracy. The heart, and the way it beats, tell it all to those who know and understand how to listen to it. And then, believe it or not, programmers in Russia have been able to bring the diagnosis to the level of not only giving acupuncture points for layered treatments, but also automatically displays the points location and main characteristics of those points. The VedaPulse professional starts at 900 dollars with software module add-ons that increase its range of functions. If one has an alternative method of stimulating acupuncture points like Dr. Jerry Tenant’s Biomodulator, or a laser stimulator for laser acupuncture, one can treat oneself at home. Personal Note: For myself my future path in terms of health improvement lies with discipline with my yoga, breathing retraining and exercise. Twice a year I do heavy training with the Live Oxygen system (which I leave at my Sanctuary, where I do my own personal retreats, as we finish building) and with persistent transdermal magnesium treatments with massage included! My diet remains another never ending challenge. I will be using the Veda Pulse (Company in Russia promised free freight to anyone who mentions my name) more frequently to guide my steps back to better health. I would also use it in the training of new practitioners in Natural Allopathic Medicine for it gives a diagnosis and treatment plan in fine detail. With a VedaPulse a doctor, staff or patient can quickly assess the effect that long term stress is having on the general state of a patient’s well-being. 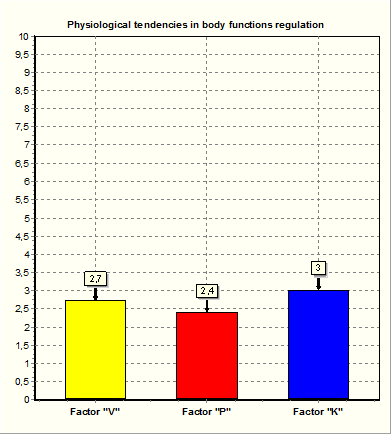 Conversely, a HRV scan is an ideal way to monitor the overall improvements accomplished while under treatment. It is an already perfected technology that allows the clinician to measure and discuss the vital changes while inspiring the patient to continue towards wellness care. Go the article page of the VedaPulse site for more reading on this fascinating subject.